There are some people in life for whom an A on a report card was never good enough, who idly wondered why they were never above the 99th percentile on standardized tests and relentlessly beat themselves up whenever they came in second. In adulthood, some of those same people are relentlessly pursuing the highest possible FICO credit score – an 850. I’m here to tell those people to stop. The idea of “gaming” your already-excellent credit score to drive it up is not going to benefit you in any real substantive way – there’s little or no difference between the interest rates or credit terms offered to people with an 800 and those offered to people with the elusive 850. So gaming it doesn’t help anything but your ego. Worse yet, if you don’t know exactly what you’re doing, you’re as likely to hurt your credit score as to help. The models used by FICO (and other scoring agencies) are deliberately not totally transparent and many things that people think will raise their credit scores – like getting rid of their credit cards or keeping zero debt – can actually lower their scores. You might think that trying to get a “perfect” credit score is a crazy thing that nobody really does, but you’d be wrong. Jacqui Kenton documented her own obsession with getting an 850 even after experts told her that it did her little good. And while the experts at Credit.com get many more questions from folks with low credit scores about how to raise them, we do get the occasional high score person who just can’t help him- or herself from trying for that elusive 850 even though it can be a ton of work for little actual financial gain. If you really are absolutely intent on getting a boost, consider this strategy: credit card issuers report your monthly balance to the credit reporting agencies — but they don’t necessarily report it on the day your bill is due, they may do it earlier. So if you wait until the due date to pay, even if you pay in full, it might look like you have a higher balance than you really do. That throws off your credit utilization ratio – one of the major factors that determine your credit score. If you make large purchases, you can keep those off your balance tally by making an immediate payment to your credit card company. Similarly, many people think that the best way to improve a credit score is to close accounts – but don’t do that! If you’ve had certain credit cards for a long time and always made on-time payments and never maxed them out, those are good cards to have around. Instead, set a couple of regular bills (like Netflix or your cellphone bill) to autopay with cards you don’t use as much but have had for a while, which will make you look like a responsible credit user. There’s nothing wrong with monitoring your credit and your credit score. In fact, I encourage it. You can get a free copy of each of your credit reports once a year, and you can monitor your credit scores using a free tool like the one on Credit.com (which updates two of your credit scores each month, explains them, and creates an action plan to help you improve them). At the end of the day, however, the only reason you might need to boost an already-excellent credit score is if you think you might – or know you will – be experiencing an issue that will cause it to drop. But if you’re just doing it for the sake of being better than a handful of other people with excellent scores, maybe spend a little of the credit you have to do something fun – see a movie, go to the theater, or even buy tickets to a baseball game. Any of those are a more enjoyable use of your time. 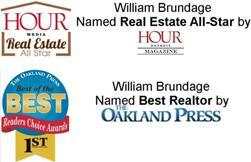 Named the Best Realtor by the Oakland Press and also named Real Estate All-Star by Hour Magazine, William Brundage is an industry leading Realtor bringing over twenty years of experience to successfully marketing and selling fine homes and estates. His dedication to his clients and our community places him in the top 1% nationwide. Personalized service and client satisfaction are paramount.  William is committed to getting you the best price and terms in the shortest amount of time.